At Wolf Consulting, we're experienced, certified professionals who are experienced in computer networking, software development and Information Technology for small and mid-size businesses like yours. Managed Services from Wolf Consulting allow business owners and decision makers to leave their IT troubles in the past and focus on what’s really important – running and growing your company. For over 30 years, our firm has provided IT support services to small and mid-size businesses in Pittsburgh. We’re committed to delivering network support, IT consulting, and other technology solutions to help your organization reach its goals. Whether you are relying on someone that's "pretty good" with computers or on full-time IT professionals, we can take the worry and guessing out of managing your computer networking and Information Technology - saving you both time and money. 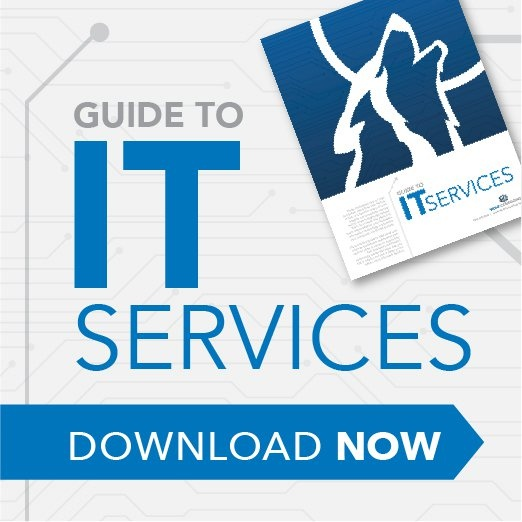 We're not interested in just fixing problems or selling you a long list of hardware or software products; as an IT Service Provider, we are deeply committed to serving you and meeting your unique needs. "I am 110% satisfied! We have used Wolf Consulting, LLC since we started our organization in 2002. They do a great job of taking care of all of our computer, network and support needs. Their highly skilled field staff comes onsite to our office each month, and their HelpDesk staff is always fast in helping via telephone, email or remote control. As a non-profit organization, we don’t have a huge budget for IT support, and we need to spend our money wisely. We could never afford to hire a full-time IT person who would give us all that we get from Wolf Consulting. They are great and I highly recommend them!" Wolf Consulting partners with you and your team to help you reach your business goals. We value long-term relationships with our clients and will work closely with your business to ensure that you have the resources you need to be successful. Our company offers a variety of IT managed services so you can find a plan that works for your unique business. Find out how our WolfCare Service can help your business succeed.